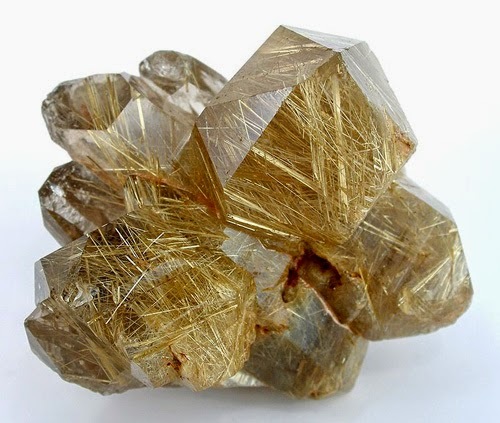 RUTILATED QUARTZ (RUTILE) "Venus Hair"
Main esoteric and healing properties of the Rutilated Quartz. Stimulates life force and positive energy, high conductivity power to penetrate the armor physical, mental and energetic, facilitates communication with the "I" superior, powerful healing and energizing, acts on all chakras. It helps the body to assimilate nutrients, strengthens the immune system, prevents depression and slows aging. Strengthens positive thoughts, raises the vibrational frequencies and enable intuitive and clairvoyant faculties of every human being. Alleviates fear and stress. Clean and harmonizes the aura. Its healing properties are very powerful, transmuting reconstituting bodily ills and affected parties. Combining his strength with black tourmaline, helps dramatically discard destructive behavior patterns of others and do not concern us. It works fine on all chakras. Contains small rutile needles, red or gloss black enamel, penetrating colorless quartz crystals. This mineral gives a special power to quartz and acts as a great health tonic in tissues and cells. Commercially known as "Venus Hair". It has the power to delay the aging process by disinfectants and energizing effects. Revitalizes and speeds healing, regeneration and reorganization of the cell structure. Useful in degenerative brain, heart failure, fatigue and tiredness. It provides new energy to the sad and weary hearts. It gives strength to face reality and is very useful in depressions fatigue. It offers great protection against harmful electromagnetic fields and waves. Increases and directs the electromagnetic field vital aura reconstructs holes. Banishes fear.Excitement and relaxation. Ensure that helps reinvest the aging process and that takes away the fear. For enthusiasm and determination, it is recommended to support him in the throat chakra. In yoga exercises are advised to apply this gem on the brow chakra or third eye, to increase the degree of relaxation. Both in rocky quartz and in smoky quartz, we can find thin rutile fibers that entered the crystal when it was in liquid state. 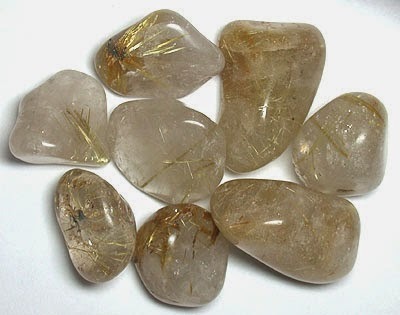 The rutile empowers other crystals where it is, it can be of various colors, and increases the vital energy. Also known as the stone of creativity. When it is attached to the rocky crystal quartz is called rutilated. 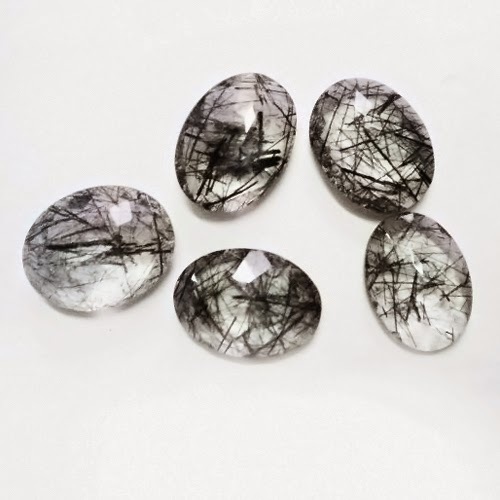 Rutile deposits on the glass, means that the vibrations are extremely refined, making this stone possessing high healing power. Issues and Ailments (Spiritual): Amplify Energy, Clairvoyance, Clear/Balance/Protect Aura, Communication with Spirit Guardians, Past Life Recall, Remembering Past Lives, Revitalizing Aura, Working with Angels.